Incumbents are launching VC arms and innovation labs to avoid being outpaced. With the global growth momentum shifting towards Asia, financial institutions across the region are increasingly forging closer ties with the fintech firms challenging their dominance as they bid to stay relevant for a rapidly changing customer base. Banking players keen on getting the early hand on their open banking journeys need to focus on securing ‘must win battlegrounds’ such as retail (HNW, mass affluent, mass) and corporate (MNCs and SMEs) and consequently launching new business models like aggregators, digital bank, infrastructure provider and treasury management to win over these critical areas, said Scully Cui, Principal at Bain & Company at the Asian Banking & Finance Digital and Open Banking Conference in Hong Kong. Such dedicated industry upgrade could only be done with customer centricity in mind especially since the open banking agenda is marred by challenges including unreachable connections, scattered data and customer directed data access, said KC Tsui, Head of Quality Management & Head of AI at HSBC. Ajay Mathur, Managing Director and Head of Consumer Banking Group & Wealth Management at DBS Bank Hong Kong echoed the sentiment as he cited the bank’s approach to become invisible and seamless in the everyday life and goals of the consumer. Against a thriving fintech backdrop in Asia, incumbent banks face the inevitable risk of getting disrupted especially with the rise of emerging players with more alluring and innovative solutions, said Sam Tanskul, managing director at Krungsri Finnovate. “The customers of tomorrow will not use the tools of today,” echoed Mathias Helleu, chairman and co-founder of 8 Securities, as he notes millennials as the ‘ultimate challenge’ to conquer for players aiming to stay relevant and competitive. One way to stay competitive would be enhancing connectivity via APIs which could also surface new revenue opportunities, urged Chun Man Hui, Regional Principal Solutions Architect at Software AG Asia. 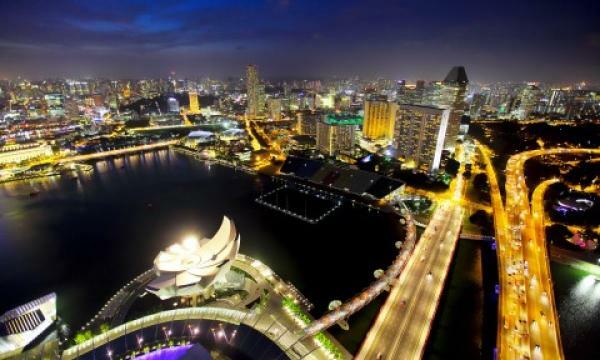 Blockchain technology could also be used to transform the delivery of financial services given its transformative capabilities, added Jasmine Ng, Director of Investments and Special Projects at NEM Malaysia. Beyond the necessary technological upgrades, banks should also take their human resources into account as they pursue their digital agendas, added Eiichio Yanagawa, senior analyst at Celent's Asian Financial Services Group. "In other words, innovating only technology is not effective - it is important that people using it develop and evolve," he stressed. "[B]ecause new technology is used by new people, older technology does not change because old people keep it." Given all these promising technologies and the emerging players wielding them, Ken Lo, founding member of Zhong An International, subsequently expects a greater level of “co-opetition” between virtual banks, fintechs and traditional banks as they aim to deliver an improved customer experience leveraged on new tech stack and microservices build. Raymond Chan, Managing Director at 9F International Business cites deepening cooperation between China’s megabanks and fintechs such as that of ICBC and Jingdong, CCB and Ant Financial, ABC and Badiu and BOC with Tencent. “Collaboration is the new innovation,” echoed Smita Gupta, senior director, regional marketing for APAC at Finastra. 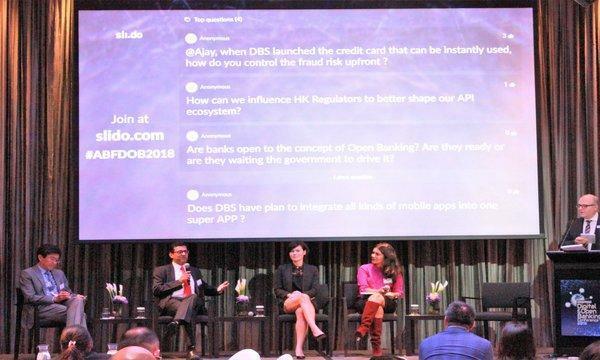 The ABF Digital & Open Banking Conference was held on 27 November 2018 at Hotel ICON Hong Kong. Please email andrea@charltonmediamail.com for any event inquiries.